Here is a shortened version of our recent trip to Mexico City, Oaxaca and Havana, Cuba. It was an AMAZING trip where we were able to do SO much within the time we had. We got to see so much history, culture, arts, ate lots of delicious foods and met new friends. Carlos in front of a Diego Rivera mural within the Chapultepec Castle. …formerly an imperial palace and presidential residence. Today, the Castle houses the country’s National History Museum. There are a ton of original paintings, artifacts on view throughout the Castle. Stained glass in Chapultepec Castle. A view of the National Museum of Anthropology. So much history and artifacts! Mural by Jorge Gonzalez Camarena inside Chapultepec Castle. A view from the balcony of our hotel. Palacio de Bellas Artes hosts exhibitions and theatrical performances and is the main venue of the Ballet Folklorico de Mexico. Teotihuacan, preserves the remains of one of the most important civilizations in Mesoamerica. We were amazed by the beautiful constructions and by the mystery kept within the wall of the Pyramid of the Sun, the Temple of Quetzalpapalotl, the Avenue of the Dead. I am a HUGE fan of Frida Kahlo. Arrived early at Casa Azul and was SO stoked to be the first one in line! For those of you who don’t know her…….you should look her up. Too much to explain in a sentence! No words to explain how I felt being in the presence of her belongings. She is a huge inspiration in so many ways. 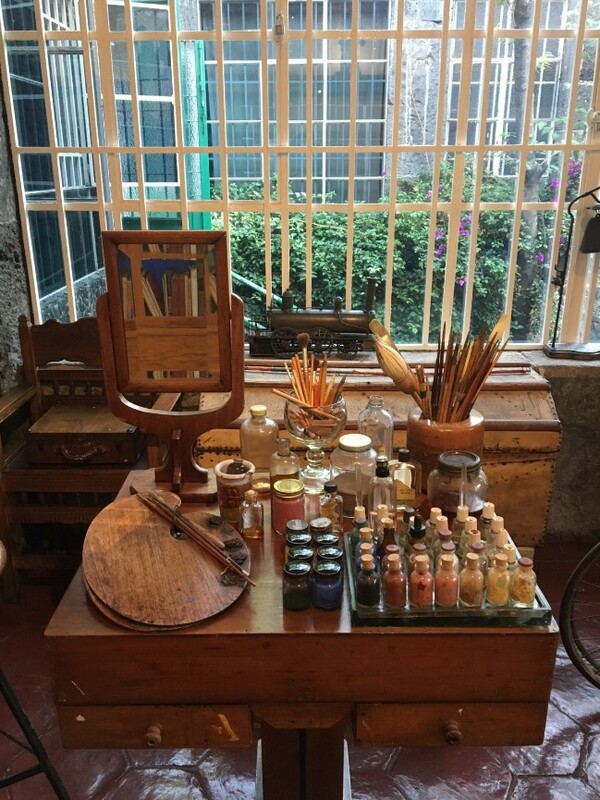 Frida’s pigments for her paintings and the mirror she used for her self-portraits. After going to Casa Azul, went to the studio/house that Diego and Frida had designed by Juan O'Gorman. So much amazing food in Mexico. Handmade tortilla tacos are the best! Museo del Juguete is a dream for any toy collector! Mexican-born Japanese collector Roberto Shimizu has amassed more than a million toys in his lifetime, and this museum showcases about 60,000 pieces, ranging from life-sized robots to tiny action figures. Shimizu himself designed many of the unique display cases from recycled objects. Museo del Juguete’s rooftop is full of murals from a vast range of artists. The very rooftop, which was inaccessible, was painted from a good friend of ours. We found our friend ROA’s mural located in the parking lot of the toy store. Last night places to eat that were open 24 hours was amazing. This place, Tacos de Suadero, seriously had the best tacos! 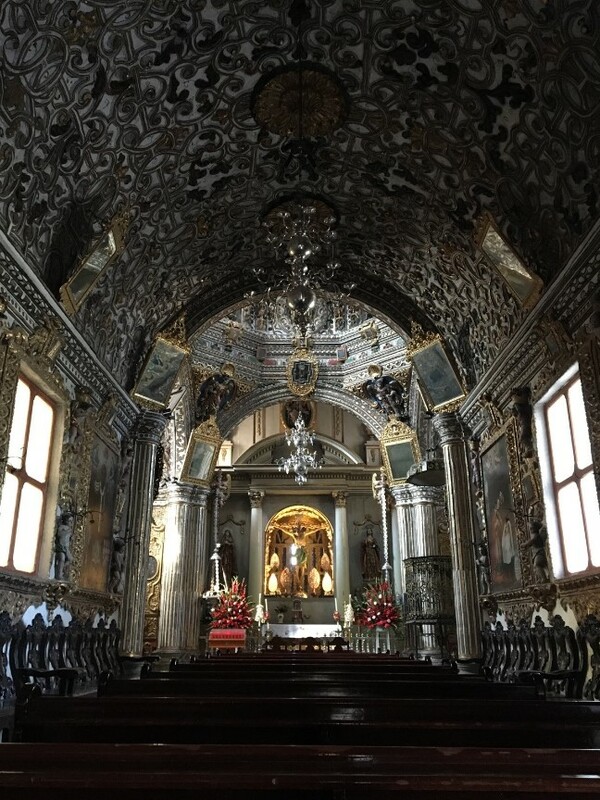 We took a 2-3 hour roadtrip to visit some ruins and archeological sites….along the way, found a beautiful church (photo doesn’t do it justice), met some locals and saw TONS of cactus! If you don’t already know, I LOVE cactus and succulents! Mitla is the 2nd most important archeological site in Oaxaca. Mitla was once an important Zapotec religious and ceremonial center. We saw a series of structures and patios adorned with ancient cut-stone mosaics, created by fitting together thousands of polished cut stones….which was believed to date back to the last two or three centuries before the arrival of the Spanish. One of the distinguishing features at Mitla is the reoccurrence of 14 geometric designs that are represented in the stone carvings throughout the complex. You’ll be amazed at the intricacy and detail of the carvings, especially those found in the palace building. "Hierve el Agua" translates to “the water boils”, and the natural mineral springs that are found here take their name from the bubbling of the warm water as it flows up from the earth through the springs and releases oxygen into the turquoise cliff-top pools. What appears to be a massive waterfalls frozen to the side of the mountain are actually natural mineral formations that have built up over thousands of years as a result of the mineral-laden water spilling over the edge of the cliff and trickling down the rocky mountain side. Another view of "Hierve el Agua"
Monte Alban, meaning “White Mountain,” is an ancient Zapotec capital and archaeological site with a spectacular mountain top location overlooking the valleys of Oaxaca. Visited some artists who do traditional wood blocking artwork. The best way we ended our trip in Oaxaca was experiencing one of their parades. I’ve only seen these in movies so I was extremely excited to be in the midst of this! The music, dancing, vibrant colors and overall excitement was an experience to remember! Took lots of videos…. Templo de Santo Domingo De Guzman is a BEAUTIFUL church. I bought some amazing traditional blouses and dresses from Mexico City and Oaxaca. Some were machine stitched and some were hand stitched. Absolutely LOVE Mexico’s textiles! Going to Cuba has been something I wanted to do for over 15 years now. Many people think the passage is totally open for the US but reality is, it isn’t. You still have to book through a certified tour group. We decided to bypass this and just go through Mexico. We like to take our own adventures and not have a tour company plan a tight schedule. Instead, we found a local tour guy who gave us a private view of Havana at our own leisure. Plaza de Revolucion. 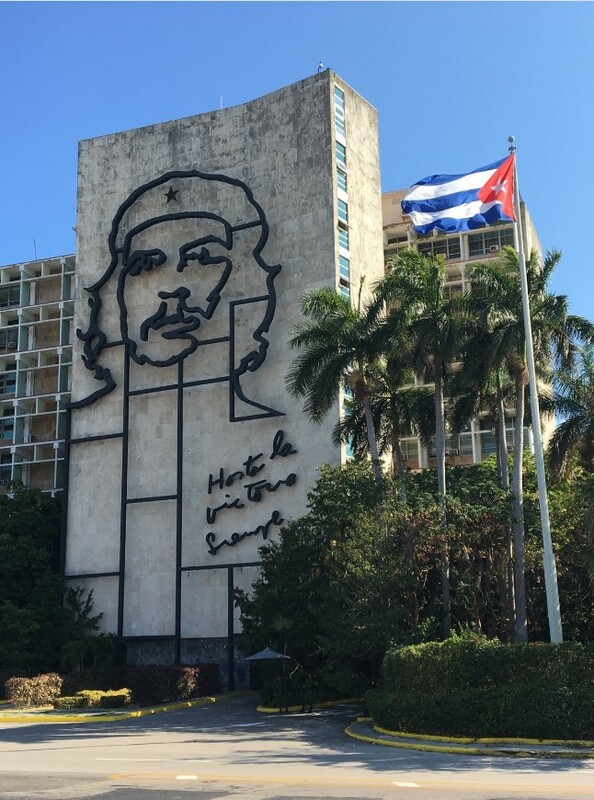 This square is notable as being where many political rallies take place and Fidel Castro and other political figures address Cubans. Fusterlandia, the studio, residence and wild kingdom of Jose Rodriguez Fuster. 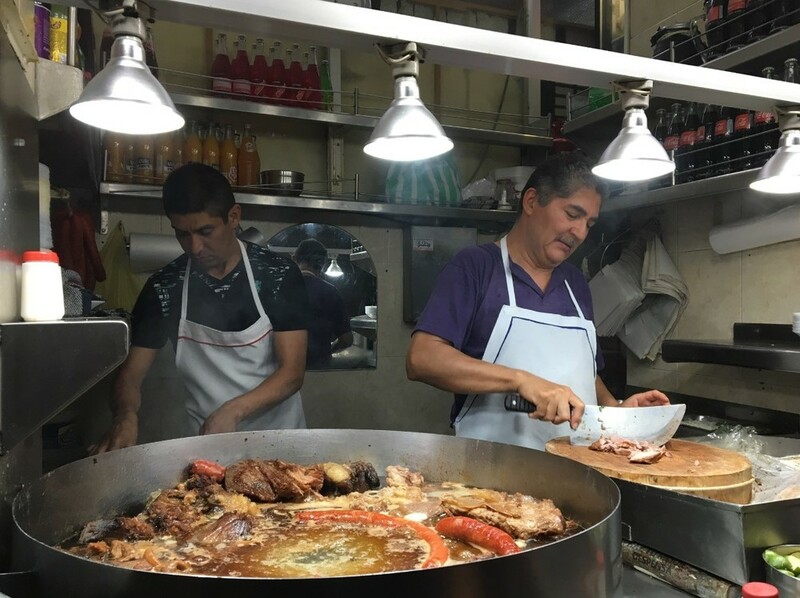 The neighborhood has changed a lot since Fuster came into town over 30 years ago. Inspired by his visit to Europe, had came back to Cuba with plenty of ideas. Roofs, walls, doorways and benches, stretching for blocks around his studio, are adorned with his brightly colored sculptures and mosaics. More than 80 neighbors have allowed Fuster to use their homes as his canvas. Parque Almendares is also known as the “lungs of the city” for Havana. A beautiful forest in the middle of the city filled with trees draped with vines that look like walls. Cuban music is romantic and spiritual. There was plenty of it during our stay and we love every moment of it! Aside from being a tourist attraction, it was so exciting to see so many classic cars in Havana. I was able to embrace that part of my soul that came from a different era. We rode these little Cuba taxis that were lot of fun. Basically a moped/scooter within one of those theme park rides. La Bodeguita de Medio…..Stopped by to visit the bar where Ernest Hemingway would buy his mojitos. Inside the Museo de la Revolucion….looking up into the dome. When you walk the city, you get to meet and talk to beautiful locals such as Melba and her son Rafael. Also while walking around, we found mural created by El Mac. Timing was everything since the clouds were aligned. More cars and old buildings of Havana. Eventually the doors for Americans to travel to Cuba will be wide open….with that includes corporations. How will this change Cuba? I’m sure the next time we visit, there will be a Starbucks or a McDonalds planted there. As we walked the neighborhoods, you actually saw kids playing and people hanging out enjoying the scenery and talking with friends/family. Not connected to their phones or computers. Playa Santa Maria…. Super clear and warm waters of Cuba. This beach was heaven!